Please review our list before contacting us. Thank you! NOTE: Below you will find a list of our most commonly asked questions. If your question has already been answered below, you will not receive a return e-mail. However, if your concern has not been addressed, you will receive a response shortly. I am not a U.S. citizen or a permanent resident can I apply for the scholarship? No, unfortunately only U.S. citizens or permanent residents are eligible at this time. 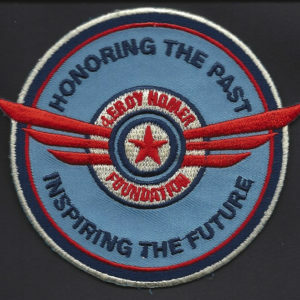 What are the age requirements for The LeRoy W. Homer Jr. scholarship? An applicant must be between the age of 16 and 23 years old by the application deadline. 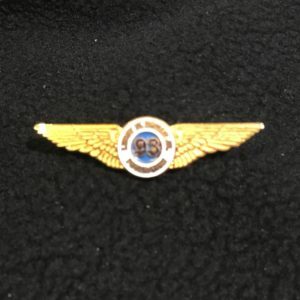 If I am already studying to become a private pilot, am I eligible for this scholarship? You are eligible if you are pursuing your license on your own, and not part of any college, university or aviation program. In addition, we do not provide loans for any college or university tuition, even if you are in an aviation program. If I have obtained my private pilot license and am working on my instrument rating, can I still apply? This scholarship applies only to obtaining a private pilot license. It does not apply to instrument ratings or any other aspect of flight training. 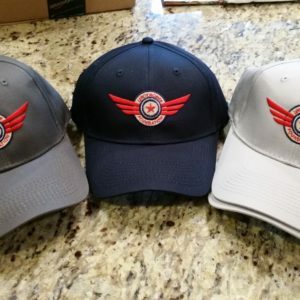 This scholarship is not intended for individuals already enrolled in a university based flight program, which offers instruction in private pilot certification as part of the curriculum. I will not be sixteen by the deadline. Can I still apply? No, in order to eligible for the scholarship, you must be sixteen by the deadline. I left a message with a request to have information about the scholarship mailed to me and I have not received anything in the mail? information about the scholarship can be found online. Can you please mail me an application? We regret that we are unable to mail applications. However, they are accessible online and can be completed online. Please check the website to find out when this year’s application will become available. The application is posted in October each year with the deadline being January 31st of the following year. Please bookmark this page for future application information. Do I need to send an official or unofficial transcript? An unofficial transcript will be accepted, providing the envelope is sealed and has the school stamp on it. I received three letters of reference, but you only ask for two. Should I still send all three? No, if you have received three, please send only the best two letters. If you send all three, any two will be selected at random. I applied for the scholarship and I never heard anything. Only the selected recipients are notified. Recipients are notified by registered mail and/or telephone. If you are not notified, you were not selected. I applied for the scholarship and was not a recipient. Is there any point in applying again? Yes, we receive a lot of worthy applications however, we can only choose three recipients. Applicants are encouraged to reapply, making sure all required information is received on time. Also, if any areas in your application were lacking, for example, community service or leadership, improvement in those areas would be beneficial. I did not get an e-mail confirming the receipt of my application. Due to various issues with email addresses, we will only send confirmation for receipt of application if you enclose a self addressed stamped envelope. Why does it take so long to see the names of the recipients on the website? Recipients need to be contacted, and all necessary paperwork needs to be verified, prior to the posting of the names on the website. Why did you only select one scholarship recipient in the past few years? The cost of jet fuel has skyrocketed in the past few years. In addition the cost of flight training has increased the average cost of completing private pilot certification by more than 100%. Due to these circumstances, we were only able to award one scholarship per year. We will continue to solicit support from large corporations, especially within the aviation industry, and hope to award more scholarships next year. My name is Peter, I’m Nigerian and I have been pursuing the dream of Aviation since I was a little boy, I’m 19 years now I read a page that International applicants are not allowed to register for the scholarship programe . In my home country there is no scholarship program for Aviation, all programs are international. I don’t know if what I’m about to ask will be of good result, What if i can apply and later after my training I will return to my home country?